If you like Saatva in general but you’re looking for a memory foam mattress instead of coil-on-coil, you’re in luck. 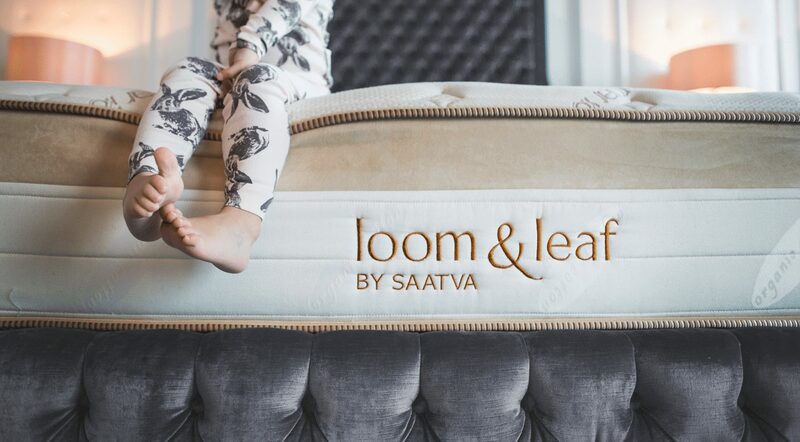 Loom & Leaf is created by the same people and offers many of the same great benefits of Saatva but with memory foam instead. 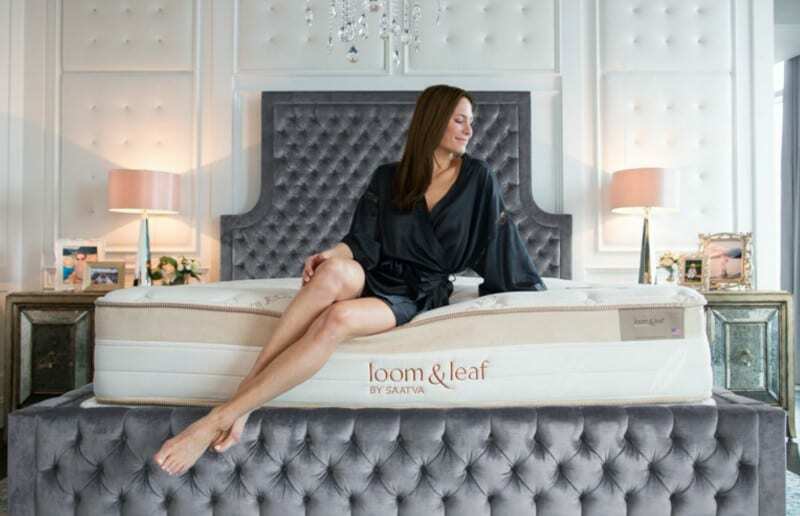 We consider Loom & Leaf to be an excellent mattress choice. 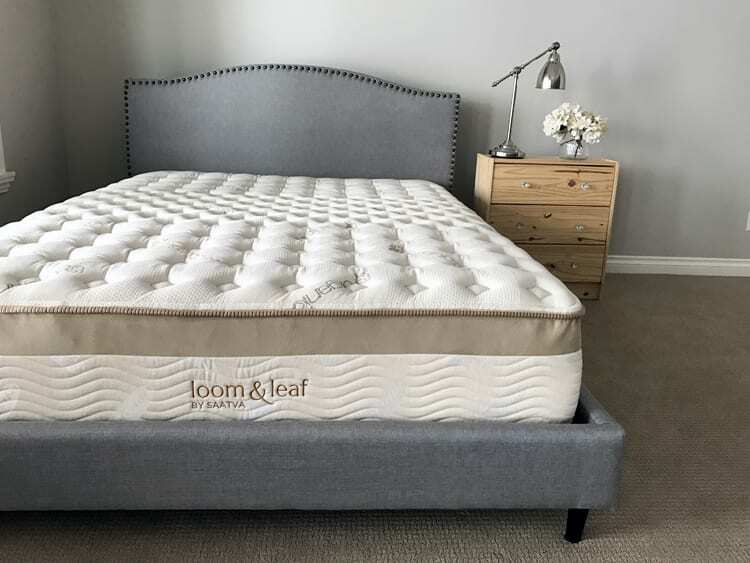 Read our full Loom & Leaf mattress review to learn more about this comfortable option. 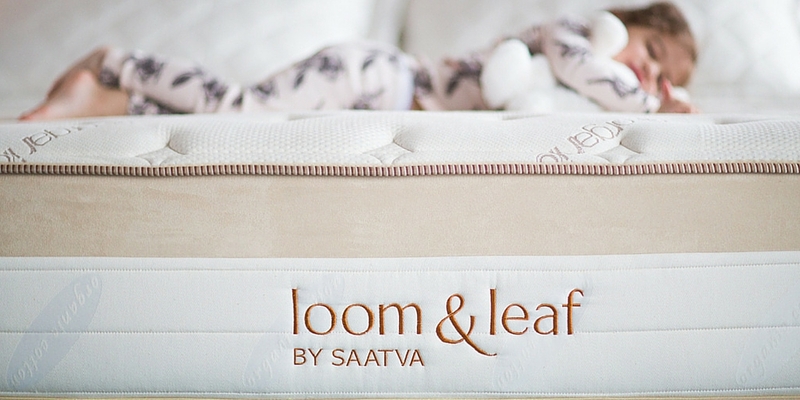 Loom & Leaf mattress is a boxed mattress brought to you by online mattress company Saatva. While Saatva’s original mattresses specialize are comprised of coil-on-coil construction, Loom & Leaf mattress is a luxury memory foam mattress. You may be wondering why Saatva didn’t include these memory foam mattresses under its Saatva line. This is because Saatva realized that the target markets for memory foam and innerspring mattresses are quite different. Thus, it decided to brand its new line under a different name: Loom & Leaf. That being said, a Loom & Leaf mattress offers the same quality and guarantees that Saatva mattresses offer: a cooling and contouring, eco-friendly mattress at more affordable rates than offered in brick and mortar retailers and some of the best warranties and policies we’ve seen. 15-year warranty: Most mattress companies offer some sort of warranty, and a 15-year warranty is one of the longer ones. If your mattress is deemed defective during the first two years or breaks in any way, Loom & Leaf will replace it for free. For the next 3-15 years, Loom & Leaf will repair or recover your mattress if need be. 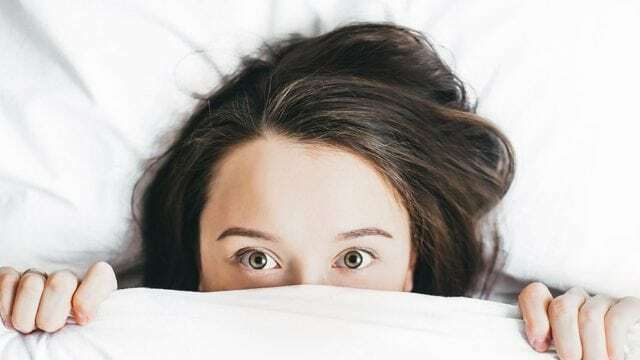 120-day sleep trial: Want to test out your new mattress before fully committing? Loom & Leaf gives you 120-days to do so! If you decide that the mattress is too soft, too firm or just not the best mattress for you, you can return it free of charge. This is great because, although you may read many positive Loom & Leaf mattress reviews before you make a purchase, a trial period gives you extra peace of mind about your buying decision. Barely any motion transfer: Loom & Leaf mattress reviews have raved about this mattress company for offering above-average elimination of motion transfer. If you sleep with someone who tosses and turns throughout the night, you’ll see be able to sleep soundly because your side of the bed will stay firm. Customizable comfort levels: Most online mattress companies specialize in one type of mattress, a signature mattress, and only offer it in one comfort level (or firmness level). Loom & Leaf is different. It offers two comfort levels, known as the L&L Relaxed Firm and the L&L Firm. The L&L Relaxed Firm is the “just right” level of support, while The L&L Firm is for people who prefer their mattresses to be as firm as possible. Eco-responsible materials: Worried about your carbon footprint? Loom & Leaf can help reduce that worry. Its mattresses are comprised of eco-friendly materials so you can sleep better knowing you’re doing your part to help the planet. Free white glove delivery and old mattress removal: This is a major, major benefit and is unique to Saatva’s companies. Most mattress companies offer free delivery and optional white glove delivery, but Loom & Leaf differentiates itself by offering free white glove delivery. This means the company will deliver to the mattress to your door, bring it up the stairs if need be to the room where you would like it set up, set it up for you and then remove your old mattress. All for no additional fee! Pressure Relief: Loom & Leaf’s mattress is comprised of four layers, including a gel cooling layer and a premium memory foam layer. These layers are designed to contour to your body and offer pressure-relieving comfort. Many Loom & Leaf mattress reviews talk about how this bed helps them stay comfortable while they sleep. Not as cool as hybrid mattresses: Foam mattresses sleep hotter than hybrid mattresses. Thus, if you sleep hot, you may not want to invest in a foam mattress. That being said, Loom & Leaf has two layers built in to keep you cool. You do have 120-days to make your decision, so you can try out the mattress and see if you can stay cool enough. Weak edge support: Foam mattresses sleep hot and are also known to have weak edge support. While this may not bother some people, others may feel like they’ll easily roll off the bed. Organic Cotton and Quilt Package: The top layer is an organic cotton knit top, quilted with a 5/8” foam layer and natural thistle flame retardant. Its goal is to keep you comfortable, cool and safe. Cooling Spinal Gel: The second layer is a four-pound memory foam layer. It uses a gel-swirl construction to provide even gel distribution and keep your body temperature cool and your joints supported. The cool gel is pure and the same as what you would find within hospital burn units. This layer is constructed of a foam tip design, which allows for greater airflow and circulation. Five-Pound Visco-Elastic Memory Foam: The third layer of the Loom & Leaf mattress is the core of the mattress. This 2.5″ layer contours to your body to provide the utmost in comfort and support. Transition Loft Pad: The fourth layer of the Loom & Leaf mattress is referred to as the “transition or transfer” layer. It works to allow the layers above it to work off of one another to provide support and comfort. Support Base: The final layer of the Loom & Leaf mattress is a 5.5″ support base. This layer is comprised of high-density foam that acts as the foundation for the layers above. Similar to Saatva mattresses, Loom & Leaf mattresses offer two levels of comfort: relaxed firm and firm. Each comes in six sizes. Loom & Leave mattress reviews are generally positive regardless of which specific one you are looking at. The Relaxed Firm is Loom & Leaf’s flagship comfort level. It’s described as having “just right” support. It rates between a five and six on the firmness scale. Loom & Leaf’s Firm Mattress is perfect for sleepers who prefer a firm (but not too hard) mattress. This mattress is perfect for those who like to sleep on their back or stomach. Twin Mattress: Twin mattresses measure 38 in. x 75 in x 12 in. Twin XL Mattress: Loom & Leaf’s twin XL is slightly longer than the classic twin and measures 38 in. x 80 in. x 12 in. Full Mattress: Loom & Leaf’s full mattress measures 54 in. x 75 in. x 12 in. Queen Mattress: Loom & Leaf’s queen measures 60 in. x 80 in. x 12 in. King Mattress: Loom & Leaf’s king mattress measures 76 in. x 80 in. x 12 in. California King Mattress: The largest of Loom & Leaf’s mattresses is the California king, which measures 72 in. x 84 in. x 12 in. Delivery times vary based on where you are located. For instance, a New York City delivery would quote 5-12 days; an Atlanta, Georgia, delivery would quote 9-18 days; and a Los Angeles, California, delivery would quote 5-12 days. Loom & Leaf mattress offers free white glove delivery and mattress removal. This means they set up a time with you to deliver the mattress, unbox it and set it up in your desired room. Plus, they’ll remove your old mattress and box spring free of charge! If you’d prefer to use a financing option rather than put the full charge on your credit card, Loom & Leaf has partnered with financing company Klarna. Klarna allows you to spread your payment out over months (or even years) with low APR offers. Klarna even offers 0.00% APR for six months if paid in full. Loom & Leaf states that its mattresses should last 10-15 years, and they offer a 15-year warranty. Throughout the first two years with your Loom & Leaf mattress, the company will replace your mattress with a brand new Loom & Leaf mattress free of charge if the mattress is deemed defective. After the two-year mark, Loom & Leaf will completely repair and recover your mattress. You’ll only need to pay transportation costs. While you’ll still have to clean your mattress, you can know that any big problems will be taken care of. 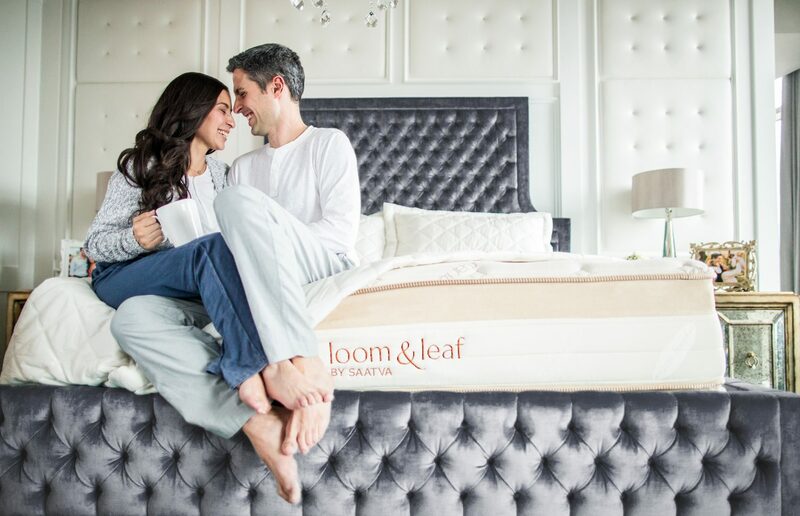 Loom & Leaf is so confident you’ll love its mattress that it offers a 120-day home trial. From the day your mattress is delivered, you have 120 days to test it out and determine whether or not you want to keep it. If you don’t like the mattress, the company will refund you 100 percent, excluding a $99 transportation cost. After our full Loom & Leaf mattress review, we feel that you can’t go wrong with Loom & Leaf if you’re in the market for a new foam mattress. We love Loom & Leaf for a variety of reasons, but the main reasons are quality, comfort and the company’s generous policies. In terms of quality, Loom & Leaf stands behind its mattress and with a 15-year warranty. Not many companies are willing to support a product for 15 years, but Loom & Leaf feels so strongly about the quality of its mattresses that it feels comfortable supporting their product for that long. That warranty is almost as good as another full Loom & Leaf mattress review. 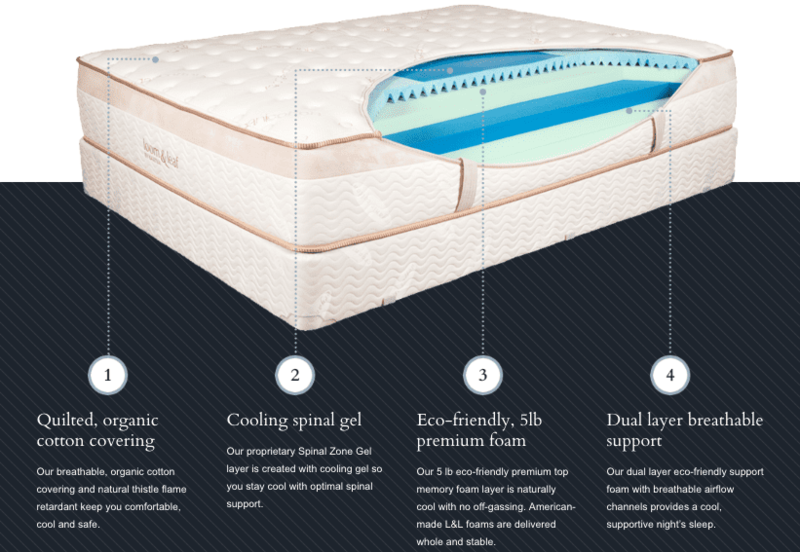 Secondly, the mattress offers customizable firmness that hugs your body, contours to your shape and provides joint relief where you need it most. Most mattress companies offer only one firmness option, which is why we appreciate Loom & Leaf’s two options. Finally, we love Loom & Leaf thanks to its trial period. A mattress is a big investment, and we appreciate that Loom & Leaf understands that and wants its customers to be happy. As such, it offers a nearly 4-month trial period. And the free white glove service? That’s just the icing on the cake. Most companies charge you extra to come into your house and set up your new mattress. Loom & Leaf doesn’t. For all of these reasons and more, we hope you’ll try out a Loom & Leaf mattress. Have you tried this mattress? If so, leave your own Loom & Leaf mattress review below. Mattress Truth: How Long Does a Mattress Last?